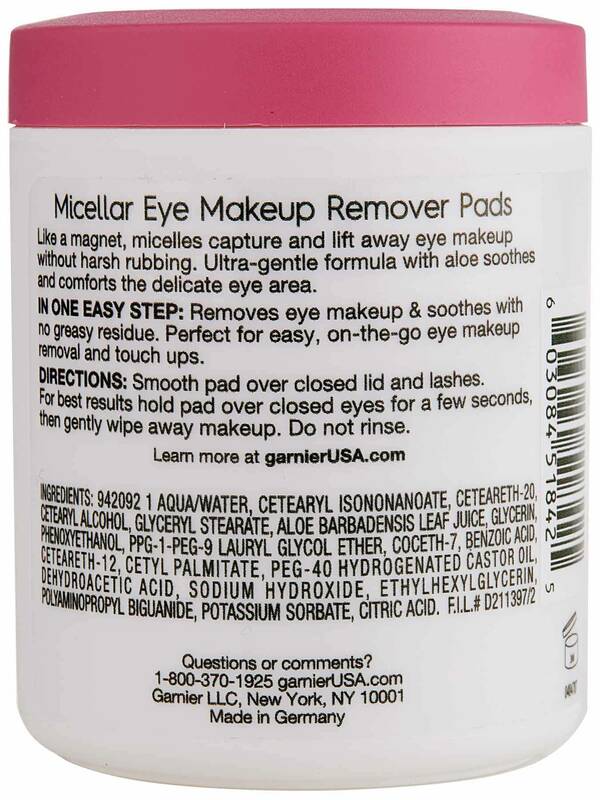 These micellar- and aloe-infused eye makeup remover cotton pads gently sooth skin while removing makeup. The 1st Garnier micellar-infused cotton pads, tailored for eye makeup removal. Ultra-gentle formula with aloe. This micellar infused cotton pads are gentle, precise & convenient for eye makeup removal. Instantly removes eye makeup without rinsing. IN 1 EASY STEP: Removes eye makeup & soothes, no greasy residue. Perfect on-the-go eye makeup removal. 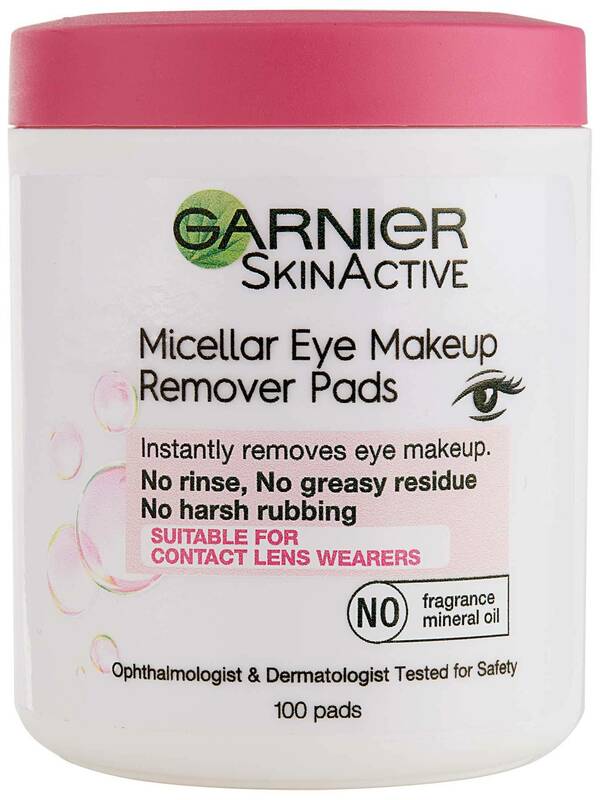 Garnier Micellar eye makeup remover cotton pads are ophthalmologist and Dermatologist Tested for Safety.They are suitable for sensitive eyes and contact lens wearers. Formulated with Micellar water & aloe the eye makeup remover pads are fragrance free. No mineral oil. Smooth pad over closed lid and lashes. For best results hold pad over closed eyes for a few seconds then gently wipe away makeup. Do not rinse. Rated 5 out of 5 by ReginaRR from Awesome Product! I have tried all types of eye makeup remover. But not happy with any. Until trying these pads. Not too oily and does not dry out my eyes. LOVE THEM!! Rated 5 out of 5 by Jomama 1 from Micellar Eye Makeup Remover Pads Love it ! Removed my eye makeup easily! Highly recommend this product ! 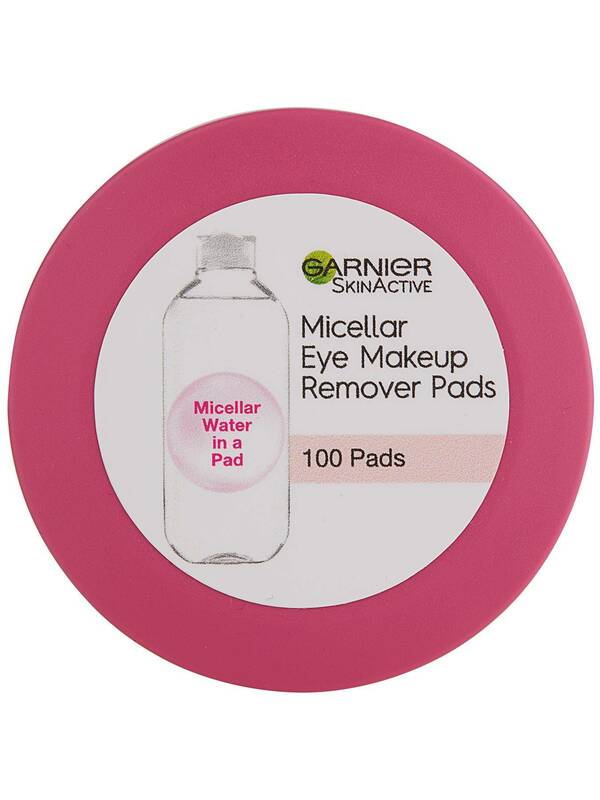 Rated 4 out of 5 by blair_mn_21751701 from Garnier Micellar Eye Makeup Remover Pads I received a free sample of the Garnier SkinActive Micellar Eye Makeup Remover Pads from PINCHme. I liked these makeup remover pads because they were gentle on my eyes. I didn't feel any stinging or burning when trying to remove makeup. They are the right amount of wetness without being too wet. I gave four stars instead of five because they weren't able to remove some of my waterproof makeup, but for most days, they will get the job done. Rated 4 out of 5 by chelsea_wa_21762466 from I need more I really liked the Garnier SkinActive Micellar Eye Makeup Remover Pads. They took off my waterproof makeup with ease. My only problem with the product was that there wasn't very many. Rated 4 out of 5 by lindsay_ky_21766441 from Works great but small size I got to try a free sample of garnier skinactive micellar eye makeup remover pads. They work really at dissolving eye makeup while being gentle. I thought they would be the size of cotton rounds but they are smaller and very thin. Rated 5 out of 5 by taylor__ne_21753456 from Amazing I was skeptical at first but this product was a game changer. I recieved Garnier skinactive micellar eye makeup remover pads as a free sample to try honestly. It definitely changed the way I take off my eye makeup! Rated 5 out of 5 by sheena_ca_21760089 from Lingering mascara gone Love these remover pads. Even after washing my face I’ll have black under my eyes. I wear waterproof black mascara and it’s so difficult to get off but it’s the only kind that doesn’t run throughout the day. No match for garniers makeup remover pads. Scensitive on your skin too. Rated 5 out of 5 by ashley_wi_21770907 from Best Eye Makeup Remover Pads! I loved the full-size sample of the Garnier SkinActive Micellar Eye Makeup Remover Pads I received in my PinchMe box! Before using these I would buy the bottle of Micellar water and use my own cotton pads. I found that I would over saturate the cotton pads and end up getting it in my eyes. These pads are saturated to perfection and are thinner/smoother than normal cotton pads. Even when I have a full glam look on, they completely remove my eye makeup. The only downfall of this product is that they only work for the eyes because they are too small to work for the entire face. Overall, I love this product and would highly recommend it!